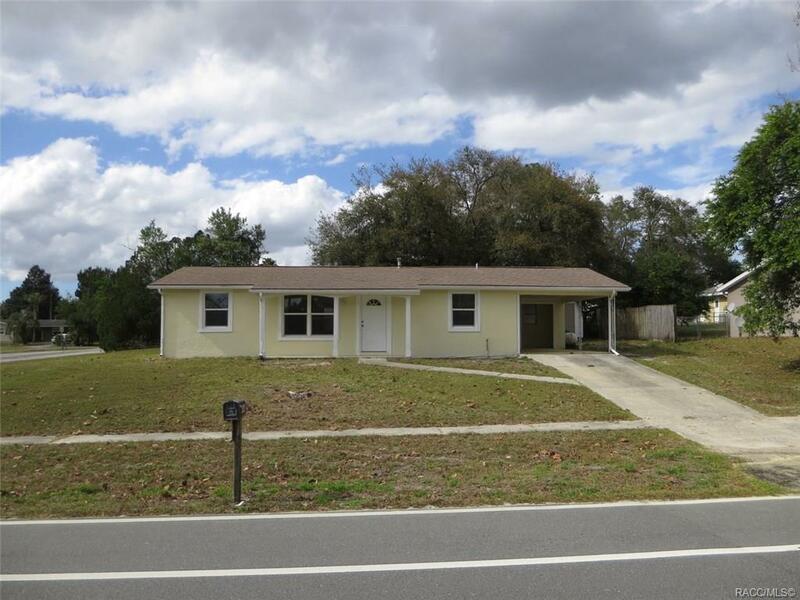 NICE 3 BEDROOM, 2 BATHROOM HOME IN CITRUS SPRINGS! Conveniently located on a LARGE, CORNER LOT close to shopping, restaurants, and highway access. This MOVE IN READY HOME has a NEWER ROOF and NEWER WINDOWS and features NEW PAINT, NEW FLOORING, and great layout with attached carport and large bonus room! Large backyard with screened porch and storage shed. Furnace and water heater are propane. This is NOT a short sale or a bank owned property. This is a GREAT HOME that is PRICED TO SELL! Come see it TODAY!! Directions: Hwy 41/N. Florida Ave To West On N. Citrus Springs Blvd. House On Right, Just West Of N. Deltona Blvd.